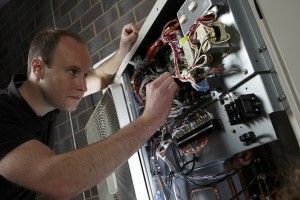 Nu-Heat’s installer service is not far off a perfect 10! Nu-Heat recently commissioned a survey from Power Marketing, a specialist marketing and market research consultancy, to gain a better understating of how Nu-Heat is viewed by trade customers post-sale and to identify areas for improvement in customer service and product supply. The survey was conducted over a six-month period and taken by 173 installers, including a mix of Nu-Heat Registered Installers and current purchasing plumbing and heating customers. The results were very encouraging and showed that over a twelve month period 74% of installers made repeat purchases, with 31% of the 173 installers purchasing complete systems more than five times within the last year. When rating individual aspects of Nu-Heat’s service, Technical Support came out on top, not far off a perfect 10, with an outstanding score of 9.91, with many installers noting that the level of technical knowledge possessed by the Nu-Heat team added value to the service they had received. An average rating of 9 out of 10 was achieved for the overall service provided by Nu-Heat to trade customers. Reference is often made to the service and support we offer trade customers, so we are thrilled that 98% of those surveyed would recommend us to a colleague or friend, largely due to a positive company experience with Nu-Heat. Nu-Heat would like to thank all those who completed the survey; the information has been invaluable in terms of the on-going development and roll-out of the company’s installer strategy. Moving forward Nu-Heat will continue to obtain feedback from its key customers.